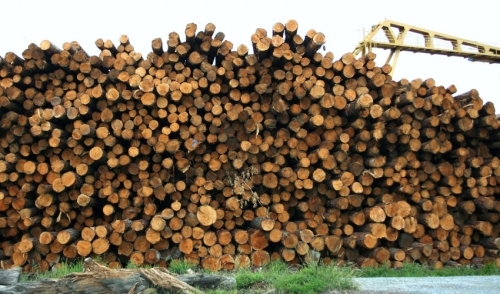 Lumber & Building Material Industry In 2015 | Crenshaw Lumber Co. Inc. Though the lumber and building material industry had suffered from a weakened demand during the years leading up to 2015 (because of the slowdown of building construction during the economic recession), the first half of 2015 has been part of a rapid rebound. Fewer housing starts meant an increase in consumer spending on home improvements, which helped to spur rapid new industry growth. The National Association of Realtors (NAR) reported that existing home sales rose to the highest pace in six years in May, 2015. They also report that there was an increase of purchases by first-time buyers, as well. In fact, existing home sales in May were 9.2% higher than May 2014. This of course leads to an uptick in home improvements, sales at local lumber yards, and a very productive summer for local contractors. According to MarketLine, the global building materials market is expected to increase 6% yearly through 2015, to reach almost $890 billion. Green building materials market growth is led by the US for such products as cork, bamboo, and woven flooring. The residential market is the largest growth area for these green products. This market will continue expanding because of the consumer’s preference of green alternatives and their desire to optimize energy efficiency. The market research firm Freedonia predicts that the global drywall market is expected to grow by more than 7.5% annually through 2015 to over 10 billion for meters. The US and Asia Pacific combined will represent around 80% of new product demand in 2015. They predict that the US will be seeing nearly 9% yearly growth in this field. As a whole, the Lumber and Building Material Stores industry shows a very low concentration of ownership. According to the research firm IBISWorld, the majority of industry businesses are privately owned, and they successfully supply local demand in their communities.